Toddler eating issues have been plaguing me. My *proud mummy * of a child that eats really well bubble has popped. He eats and throws it. He turns his head too. And then eats it when he wants it. Refuses when I offer *one more* Ugh!!!!! I had a Eureka moment!! I decided if he won’t eat this then it’s definitely teething or some other Malady. 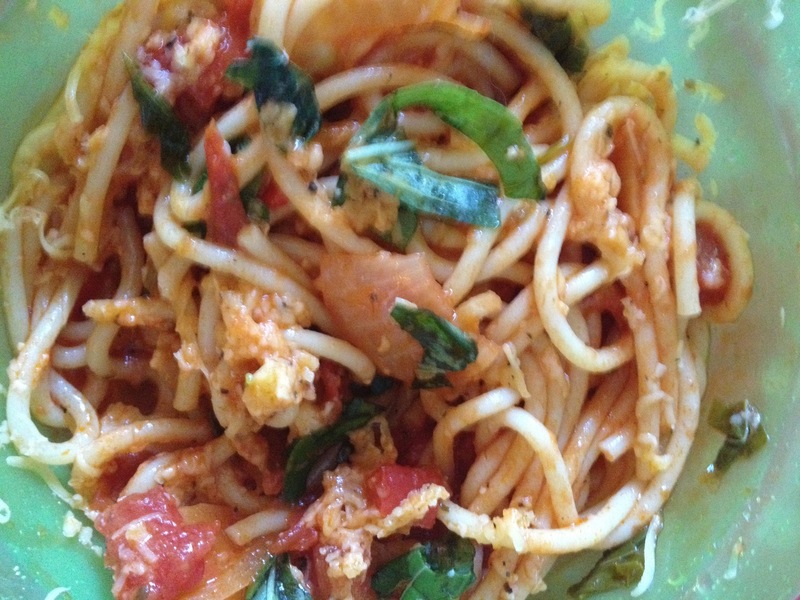 A simple Onion, Red Pepper,Carrot, Celery, Garlic, Oregano and Basil mixed with a Tin of Tomatoes . Mixed into cooked Spaghetti.